We've written about Batman toys before and we were interested to discover this new remote controlled U-Command Batman Bat-Pod from Thinkaway Toys. 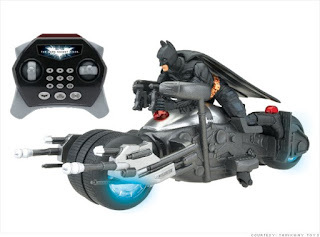 The Bat-Pod features light-up wheels, voice effects and sound effects. It is programmed with 1000 sequences and will go forward and backward and do a 360 degree. 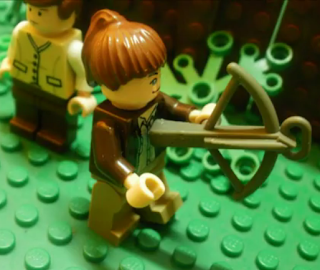 You can even program it to follow your own action sequence. How much fun is that? 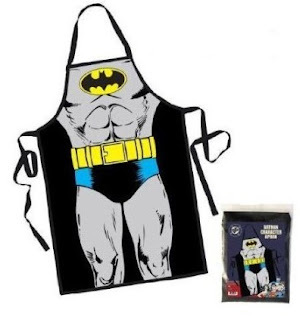 I'm thinking my grown sons would have fun with this particular The Dark Knight Rises Batman toy. A bit of searching found this video review, which I believe demonstrates nicely how the remote controlled U-Command Batman Batpod works. The review is a bit lengthy at 7.5 minutes but it is a good review that also gives you a chance to see the Batpod perform its tricks. MaximumXGamer, who wrote this review, calls the U-Command Batpod one of the best choices of the toys released from The Dark Knight Rises and, fortunately for anyone interested in buying it, the price on Amazon.com is a lot less than the price was at the time he wrote his review. 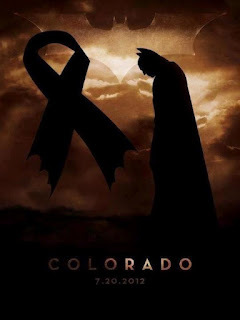 Be sure to let us know if there's a Batpod in your future! 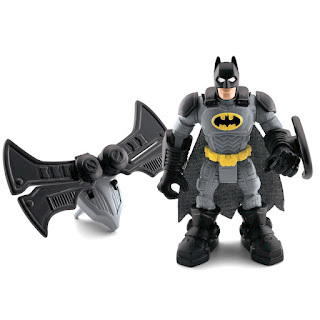 Learn more about Thinkaway Toy's U Command Batpod on Amazon. Hallmark Hall of Fame's next movie presentation is Christmas with Holly. Christmas with Holly is a romantic story based on a novel by Lisa Kleypas called Christmas Eve at Friday Harbor. I love that it will air just shortly before Christmas on December 9, 2012 and I love that it will air on ABC, which means that I will be able to watch it! Woo Hoo! How about you? 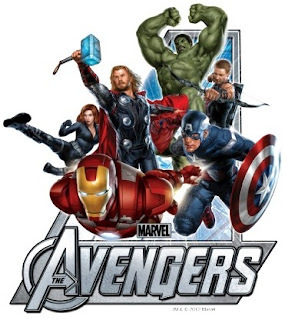 Are you looking forward to Hallmark Hall of Fame's 247th movie presentation? I am! 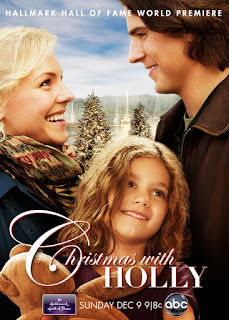 Watch the official movie trailer and learn more about Christmas With Holly. Uncover the new for 2012 Hallmark Christmas movies. Filmed in southern California, Imax's Deep Sea will let you swim with some of the earth's most exotic creatures. Filmed by Howard Hall (who created Into The Deep), Deep Sea features narration by Johnny Depp and Kate Winslet. The real stars of the show are, of course, the individuals who sport fins and scales...like the Green Sea Turtles, the Humboldt Squid and the Mantis shrimp. 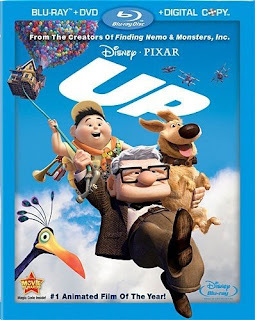 Blu-ray.com cautioned about raised expectations with regard to this film because it is a 41 minute documentary but recommended it for families wanting to check out the undersea world and it is worth noting that Imax films are shorter than feature length movies. 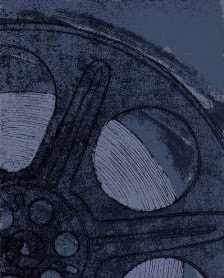 However, Blu-ray.com called Deep Sea a captivating "a captivating undersea documentary, an excellent video transfer, an unexpectedly solid audio track, and a bonus, full-length IMAX film (also presented in 1080p.)" Amazon customer reviews include one by S. Letang who recommends using this blu-ray disc if you are unable to visit the underwater world. He said this film includes "stunning footage of the vast and amazing sea creatures known to man." SVH Man added that blu-ray is necessary to truly appreciate this documentary film. To read more of the Amazon customer reviews of Deep Sea, simply click here. As the tag line says, you will "Sea Life In A New Way." 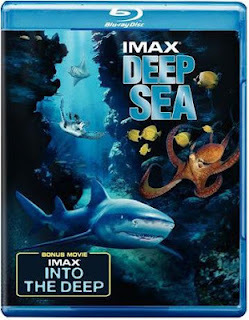 Buy your copy of Imax Deep Sea from Amazon. See this year's list of best Imax films. 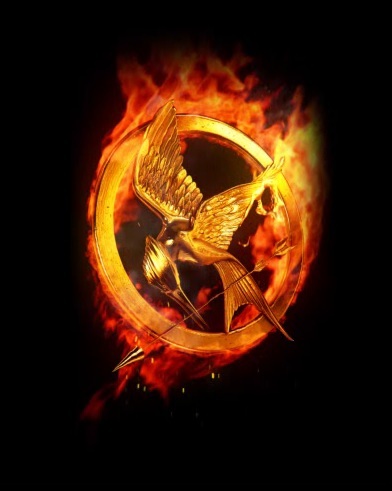 The Hunger Games movie release is definitely the HOT movie this week, making it a great choice for a Wordless Wednesday post! 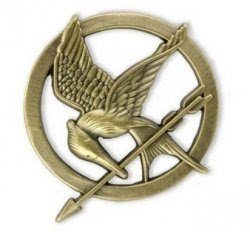 Learn about The Mockingjay Pin. 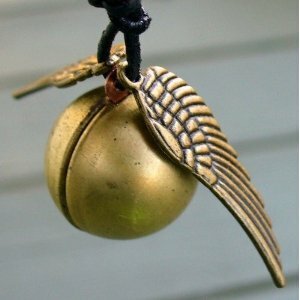 Buy this Mockingjay Pin from Amazon. This Muppet trailer for The Hunger Games is really a spoof, a promotion in disguise for the upcoming March 20, 2012, release of the 2011 Muppets movie, which you can order from Amazon right now. Buy your copy of The Muppets on blu-ray or DVD from Amazon. It's coming, it's coming! The Harry Potter Definitive Blu-ray Movie Collection is coming. 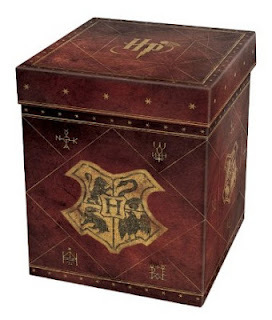 Although Warner Brothers has not told us WHEN it will be released, they have released enough information to make it available for pre-order, which means that you can buy your complete Harry Potter movie boxed set right now on Amazon. 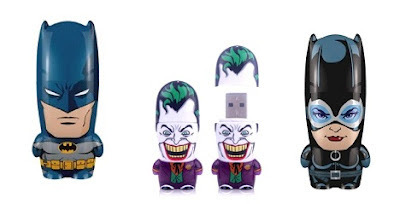 You'll have to wait, of course, until Warner Brothers actually releases it to take delivery but you won't be charged when you order and you will be protected by Amazon's product price protection. 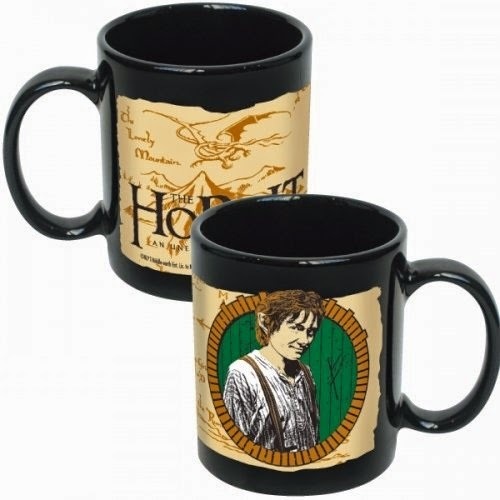 You'll also receive FREE shipping on this amazing movie set. 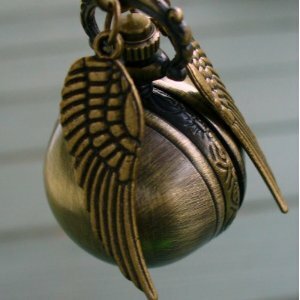 Be aware that it is possible to own all of the Harry Potter movies on a lesser set set that is available right now. 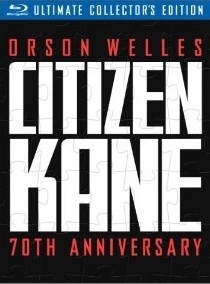 It retails for less than $80 right now and includes all of the movies but will not include all of the extras nor special features of the definitive edition. 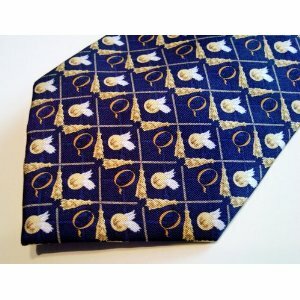 Which set you choose will, of course, be totally up to you and your budget. 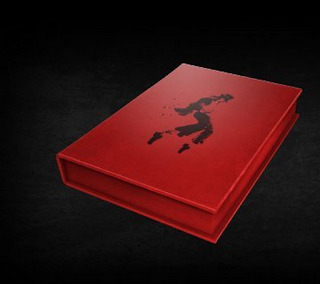 The definitive edition or the ordinary boxed set? You cannot go wrong in either case if you are building your blu-ray movie collection and you love Harry Potter. Learn more about the definitive Harry Potter movie set by clicking here or head right to Amazon to pre-order your set now. 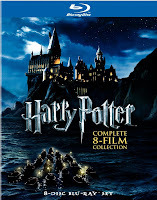 Learn more about the Harry Potter Wizards Definitive Blu-ray Movie Collection. Order your set now from Amazon. 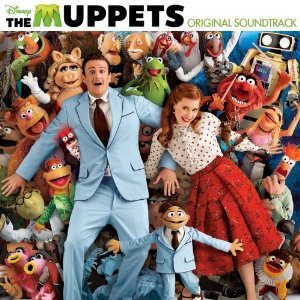 The Muppets 2011 movie received an Oscar nomination in Music for Best Original Song. As writer Bret McKenzie said, the song 'Man or Muppet' is a great song that works extremely well within the context of the movie. He wanted to create a powerful ballad with this song and he did. It's a song that is beautiful, memorable and dramatic and yes, at least it is to me an 'earworm' or a song that will get stuck in your head, especially if you relate to these characters. It makes me really want to sing out the song aloud - and I am no singer. Buy The Muppet Movie Soundtrack from Amazon. The Muppet Movie (2011) Review. More About Walter, the new Muppet. 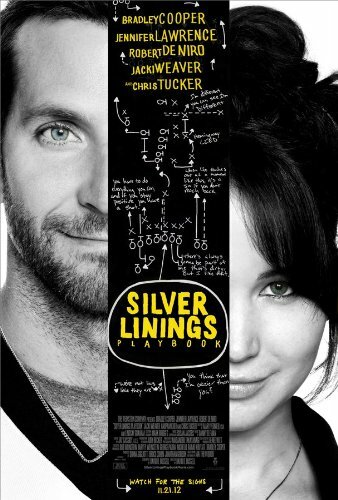 Last year's Best Picture Oscar Nominations. Last year, 2011, saw the Muppets come out of retirement with their comeback movie The Muppets. Disney did an amazing job of rejuvenating the Muppet franchise. If you saw the movie, you know what I'm talking about. Consider the National Post critic Chris Knight who closed his review by comparing the return of the Muppets to a reunion with an old friend, "who has only gotten better with age." Consider the words of movie critic legend Roger Ebert who said, "The Muppets is a funny, wickedly self-aware musical." Finally, consider that The Movie Mom graded the movie with a solid A and deemed it appropriate for all ages. If there is a single solitary Muppet fan who has not seen the new Muppets movie, they will definitely want to check it out on blu-ray or DVD. 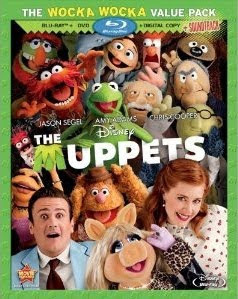 Even fans that saw and loved The Muppets movie, like myself, will want to own their very own copy. I am thrilled that one of the blu-ray versions is bundled together with a copy of the soundtrack because The Muppets movie soundtrack really is excellent, too. And we don't have much longer to wait. The Muppets 2011 movie is being released on blu-ray disc and DVD on March 20, 2012 and you can order yours now on sale from Amazon by clicking right here. 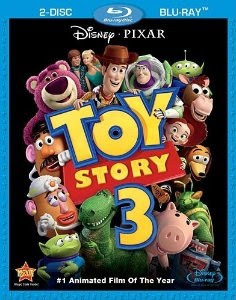 Buy your copy of The Muppets movie from Amazon. 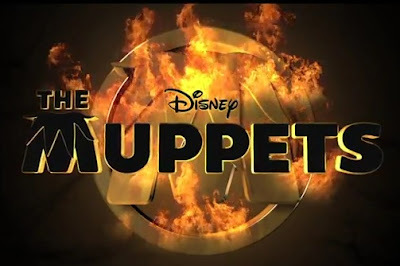 Learn more about The Muppets movie and watch all of the trailers. If you love Hallmark movies and you particularly enjoy movies that are tied to holidays, you can look forward to watching Chasing Leprechauns, Hallmark's new 2012 movie, which is set in Ireland and is being released in time for St. Patrick's Day celebrations. In Chasing Leprechauns, a New York business executive who works too hard needs a vacation but instead of giving him a respite from work his boss sends him to Ireland to close an important business deal. Hallmark's Chasing Leprechauns stars Adrien Pasdar and Amy Huberman and is set to premiere on the Hallmark Channel on March 17, 2012. Unforunately, this means that those of us without the Hallmark Channel will miss out on this movie unless it is released on DVD. More movies about Leprechauns and Ireland. Uncover the best Hallmark movies. Despite being a Michael Jackson fan since the beginning of time or at least since the release of Thriller, would you believe that I just discovered The Official Michael Jackson Opus? The Opus is a celebration of Michael Jackson's life and a magnificent, large leather bound collectors item. The Official Michael Jackson Opus is SOLD OUT. However, you can still buy it from sellers on Amazon by clicking right here. Because it is sold out, you will probably pay a premium for it but I know that will not stop true Michael Jackson fans who will be thrilled with this tribute to the king of pop. Michael Jackson was consulted on this project and is said to have been very enthusiastic about it. Unfortunately, because of his untimely death, he did not get to see the end result, which would have included images and information from the cancelled London concert. Personally, I would love to read The Official Michael Jackson Opus. How about you? Are you curious? Or maybe you have already seen the Opus? Buy The Official Michael Jackson Opus from Amazon. Read more about the Opus about Michael Jackson. The Hallmark Hall of Fame movie A Smile As Big As The Moon is a touching movie possibly maybe even better when you consider that the events portrayed within it are based on real people and actual events. A group of teenage high school students enrolled in a special education class who experience a variety of issues like Down syndrome, Tourette’s, learning disabilities and emotional problems, learn to work as a team and have the opportunity to attend Space Camp. Based on a book of the same name written by Mike Kersjes and Joe Layden, I am pleased to be able to HIGHLY RECOMMEND A Smile As Big As The Moon for anyone who cheers for the underdog and who admires perseverance, determination and hard work. 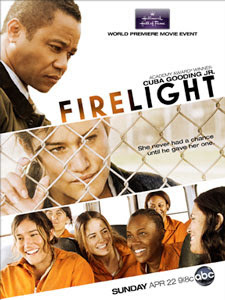 This is the kind of movie that Hallmark does better than anyone and one of the best movies I have seen in awhile. A Smile As Big As The Moon has ALL THE RIGHT STUFF. Click here to buy A Smile As Big As The Moon on DVD from Amazon. Heads up Hallmark movie fans. There's a new movie being broadcast this month from Hallmark Hall of Fame called A Smile As Big As The Moon. The film is based on the true story of a special education teacher working to help a class of special education students achieve the impossible dream of going to NASA's Space Camp and is based on a book written by Mike Kersjes and Joe Layden. What's extra special about this Hallmark Hall of Fame presentation is the fact that Hallmark is broadcasting it on ABC rather than the Hallmark Channel, which means that people like you and I who do not receive the Hallmark Channel will be able to see A Smile As Big As The Moon when it premieres on Sunday, January 29, 2012. The cast stars John Corbett, Jessy Schram, and Cynthia Watros. 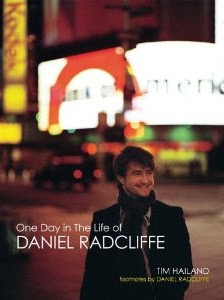 By the way, I just discovered that Amazon already has the DVD for A Smile As Big As the Moon for sale. Buy A Smile As Big As the Moon on DVD from Amazon. You can follow along on Twitter with the hashtag #SmileMovie. Enter to win a family trip to Space Camp from Hallmark Hall of Fame. Order the book A Smile As Big As The Moon from Amazon. 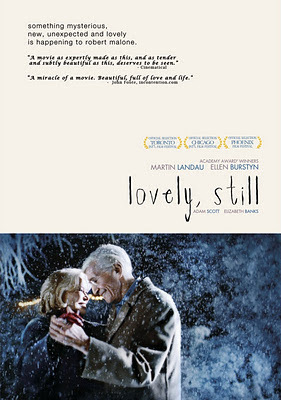 Two well-respected actors that you will probably recognize, Martin Landau (82) and Ellen Burstyn (77), appear in the movie Lovely, Still. It's the first feature film of 23-year-old named Nik Fackler and it's extremely well done. Lovely, Still is a love story, an usual love story for sure. It shares the romance between two individuals late in life and it takes you on a romantic journey like none you have never experienced before. Critics call Lovely, Still an impressive debut by Fackler and the L.A. Times says that he is "sensitively attuned to his actors and deeply committed to examining the dilemmas inherent in aging." If this movie is a representation of that commitment, then I agree. Order your copy of Lovely, Still from Amazon. File this post under GOSSIP. I'm not usually interested in American politics (because I am a Canadian) but when Johnny Depp enters the picture, I become curious. According to this morning's newspaper, Tim Burton and Johnny Depp were amongst those involved in a special Alice in Wonderland themed Halloween party thrown by the White House in 2009. Johnny Depp appeared in the costume that he wore as the Mad Hatter in the movie Alice in Wonderland. Tim Burton was responsible for the dining room, which was decorated in true Mad Hatter style. Chewbacca of Star Wars fame made a special appearance as well. The event was attended by both Malia and Sasha Obama, their friends, children of the White House staff and of military families. The newspaper said that the White House did not allow the press to report on the party for fear of how such a splashy Hollywood style party would look to those Americans struggling to find jobs and put food on the table for their families. According to sources online, the upcoming biography, The Obamas, by Jodi Kantor claims that the trick-or-treating event was publicized and that the Alice in Wonderland party was not. The White House, however, is denying that they tried to keep the party quiet saying that they invited the press corps, that there were pictures posted on Flickr, as well as a video on the White House site and that the event was even talked about on Johnny Depp's website. Curious and curiouser! It must have been quite a party one about which we may never know the truth...but we surely recognize a good story when we see one. Would you like to have Johnny Depp make an appearance at YOUR Alice in Wonderland Party? I would! 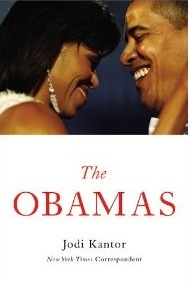 Buy The Obamas by Jodi Kantor. Alice in Wonderland Movie Review. The Sasha and Malia Obama Beanie Babies.